PCMark for Android measures the performance of smart phones and tablets using benchmarks based on everyday tasks such as browsing the web, watching videos, working with text, and editing photos. These tests emphasize the interdependence of the CPU, GPU, storage and memory on overall performance, treating the device as a complete unit rather than a set of isolated components. PCMark for Android has only been available for a few weeks, but it already has data for over 700 of the latest and most popular devices. 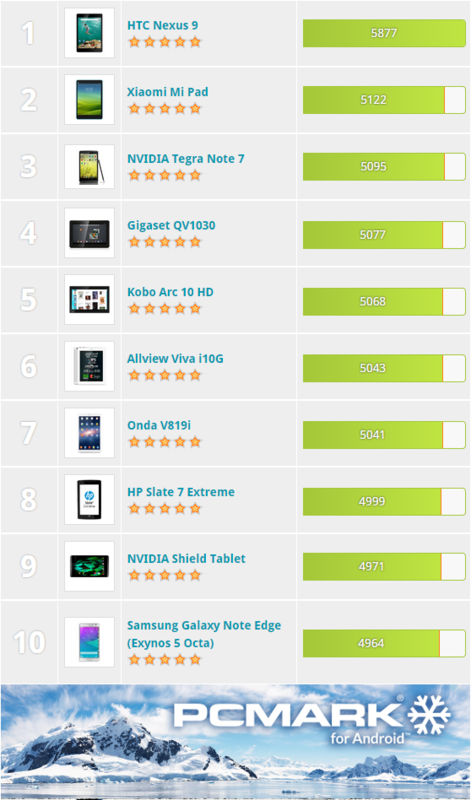 View the full list and compare more than 700 Android smart phones and tablets.